The victory of De La Salle University (DLSU) in the Men's Basketball Game last August 31, 2013 against Ateneo de Manila University (ADMU) has stirred a tension at the Smart Araneta Coliseum right after the game has ended. 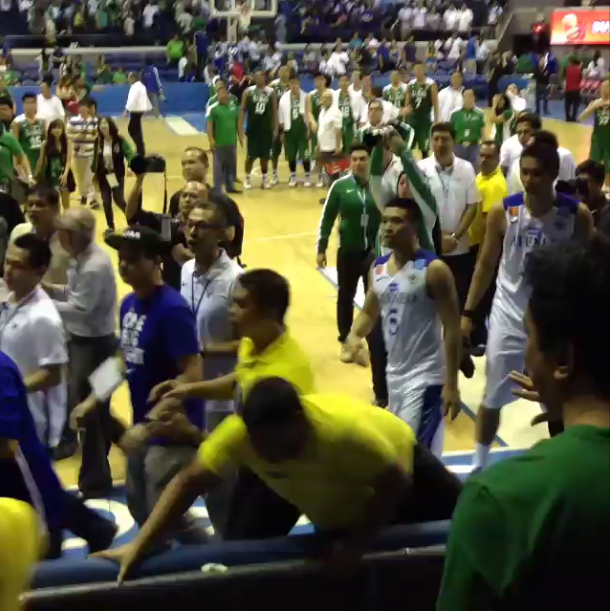 Jonathan "JJ" Atayde, a Lasallian, taunted Ateneo coach Bo Perasol for losing in the game. 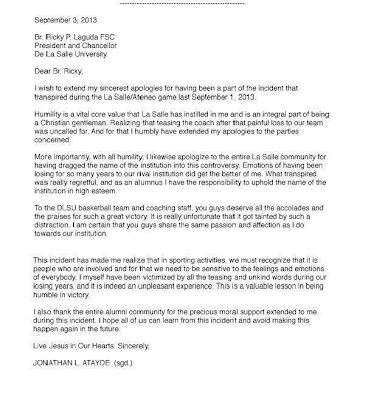 This has caused the coach to get angry at Atayde that surprised all the La Salle and Ateneo fans. Below is a screenshot of an Instagram video post of Joanna Robles. Watch the short clip of the incident. In the last quarter of the game, Jeron Teng of DLSU took his winning shot at the last 1:09 second. DLSU (66) won over ADMU (64). Below is the full letter of apology of JJ Atayde addressed to Br. Ricky Laguda FSC, President and Chancellor of De La Salle University. 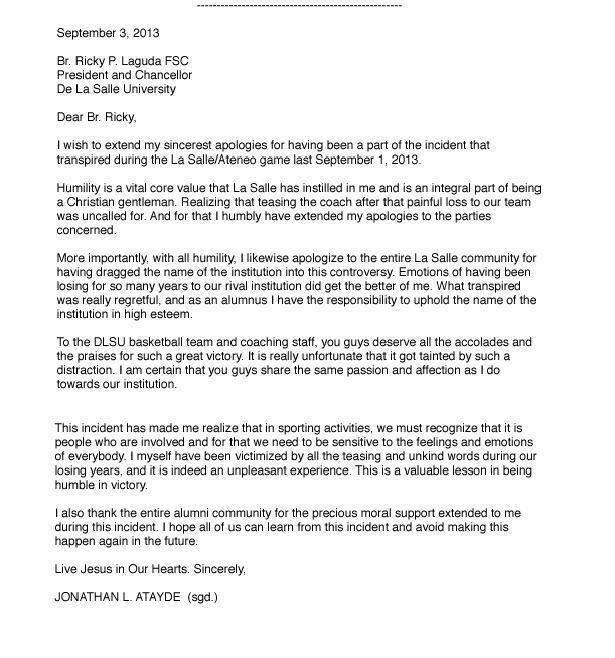 This is DLSU President's response regarding the apology letter of Lasallian alumnus JJ Atayde.